Inherent characteristics of MDPE such as corrosion & crack resistant, tough and flexible makes Polyethylene piping systems the most preferred means for transportation and distribution of water, petrol and natural gases world wide. The raw material used is Medium Density Poly Ethylene (MDPE). Mahashakti Pipe Industries manufactures pipes in grades PE-80 & PE-100 for gas applications in sizes 20 mm to 250 mm (Outer Diameter) in all pressure ratings. Traditionally these pipes are identified by its color for different uses like blue for water, orange for petrol, and yellow for gas lines. Mahashakti Pipe Industries manufactures MDPE pipes which confirms to national and International standards as ISO-4437, ISO-4427, IS-14885, BS-7281, DIN-8074/75. Mahashakti pipes can also be tailor made to meet the specific requirement of individual gas authorities or customers. 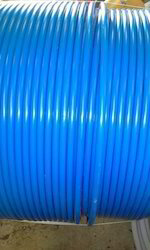 We are manufacturing MDPE Pipe PE 80 PN 12.5 use in drinking water supply. As Per ISO 4427. 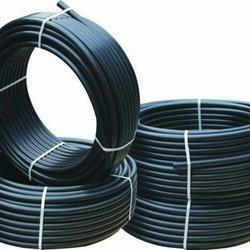 We have been recognized amongst the leading organization engaged in manufacturing and supplying HDPE Coil Pipe.